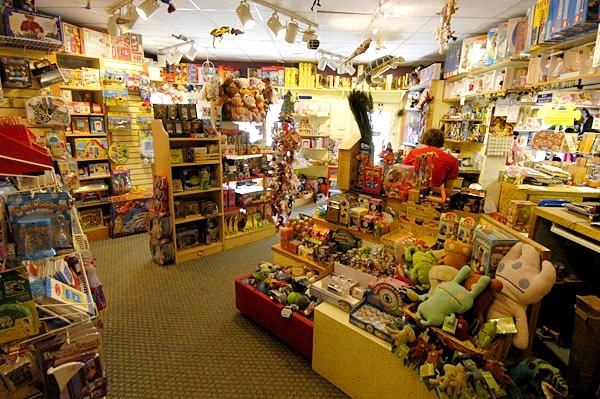 Opening of shop of children's toys is a great option starting your own business. Large assortment of possible solutions, low seasonality, the lack of significant demand fluctuations - all this allows to achieve high profitability and stability. Open your own company. For the organization of shop of toys is enough to register as an individual entrepreneur. Pick up commercial premises. In this case, a distinct advantage is that the store toys you can open to almost any area, finding your range. With a small starting capital, you can allocate minimum resources to the design, because the toys themselves are very bright, and additional decoration around it will only visually overload the space. Undertakes extensive market research. The market of children's toys is quite specific: the emphasis in the study you must do not how much the target audience how much product category. Try to find these products, which are represented on your chosen site least of all, and form your own unique proposal. Unmistakable differentiation - the success of your business. Usually buyers are interested in specific types of toys. Their preferences formed either on the basis of the wishes of the children, either on their own ideas about the necessity of a particular toy. Try to choose several vendors that specialize in different product categories: soft toys, educational games, dolls and their accessories, machines, designers. Don't forget that toys of the past generation, however good they may be, may not be attractive for modern children. Possible, transformers, Bakugan and Winks dolls with alien faces seem intimidating, but just dream about them kids today. Remember that for kids toys always choose adults, but the products for children from 3-4 years of age and older already selected by young buyers. Parents are guided on organoleptic characteristics when choosing toys (it must be pleasant to the touch, not too flashy colors) and want to see the developmental function of the most purchased gifts. Choice children are often impulsive and illogical: shiny doll in acid pink dress might not like an adult, but to fascinate a three year old girl. Consider these features when compiling the range. Pay special attention to the location of the goods on the shelves: proper merchandising, will significantly enhance the profit. Products that adults choose to put on the middle shelves, and toys that children take yourself down to their eye level. On the floor you can put what the child can try out on the shop floor: a car, a doll stroller, a high chair, a rocking horse. In the checkout area place cheap goods of pulse demand: balls, mini-puzzles, small stuffed toys, key rings. Can put a big bowl of free candy and a cooler of water - this will be a nice advantage for children and for adults. Pay special attention to the issues of safety of toys. Check that your store does not have products that are made from questionable materials with a pungent odor that can become a cause of child poisoning. Personally check all the certificates purchased from suppliers toys. Follow the trends in children's animation. Children love to receive toys in the form of favorite characters.